This challenge gets tricky for me as I don’t have a very nice fancy camera. I have Panasonic Lumix DC Vario, yet it has a host of settings I can use in different situations. So, I’ll give this a try and see what happens. These two photos were taken early last March during a big snowstorm we had here. There is a setting for ‘snowflakes’, so I was pleasantly surprised at the effect. There’s a settings for food, mountains, fireworks, stars and so on. 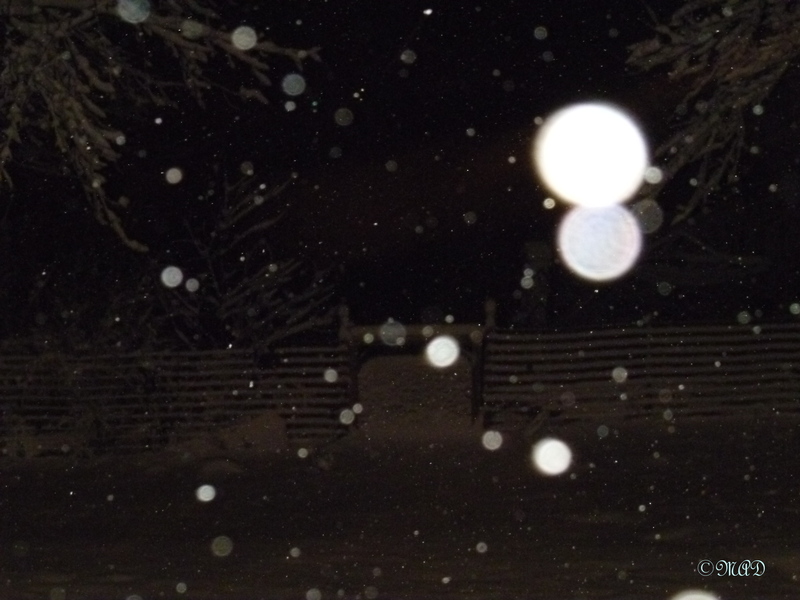 The photo below was taken focusing only on the snowflakes. This entry was posted in Weekly Photo Challenge and tagged Panasonic Lumix, Snow, snowflakes, snowstorm, Weekly Photo Challenge - Focus. Bookmark the permalink. Really like the first photo effect – well done. 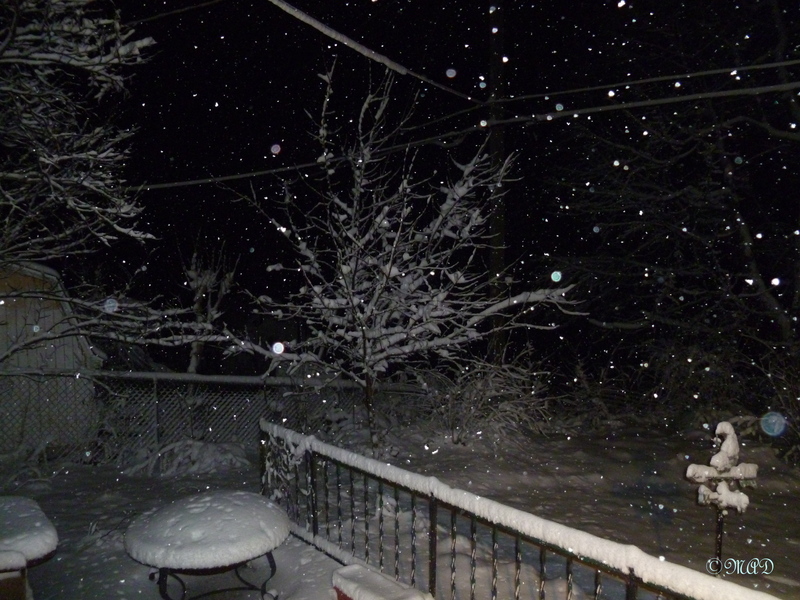 Yes, and although I prefer hot weather, snow is lovely to look at! Bon dimanche! you make me longing for December! I understand! Right here, it’s in the mid 90’s and I have no AC in my car right now. I’m longing for December too lol.